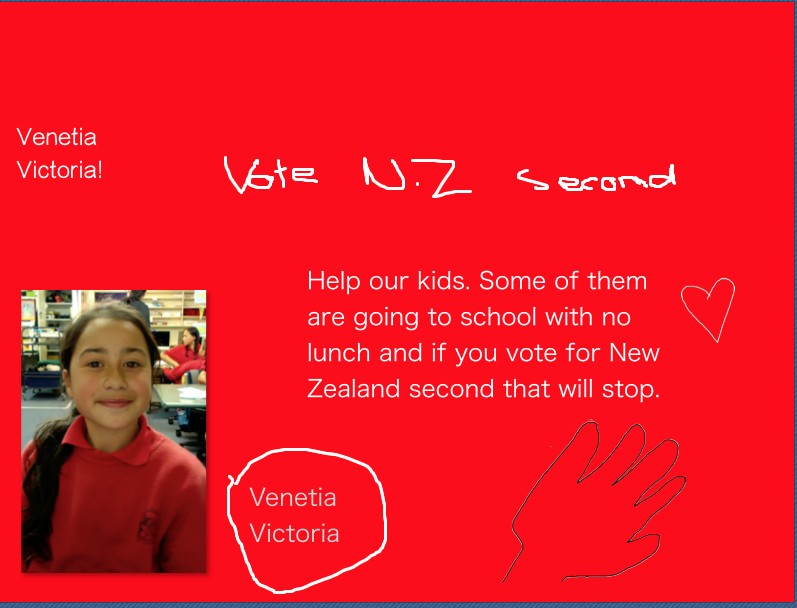 Elections, Vote for Venetia Victoria!!! This week in Extension we were given a task to make our own billboard on Hyper studio. And this is what I have come up with. My party is the New Zealand second party. The New Zealand party helps kids in New Zealand that have no food at school. And that is New Zealand second. Conch shells that I have drawn. There are 3 littles ones and 1 big one. Did you know that My mama has a real Conch Shell. Venetia and Seini! What makes a good Champion from Team 3 PES on Vimeo. Use my brain, Use my heart, I'm going to be CyberSmart. Use my brain, Use my heart i’m going to be CyberSmart. Have you ever heard that phrase? 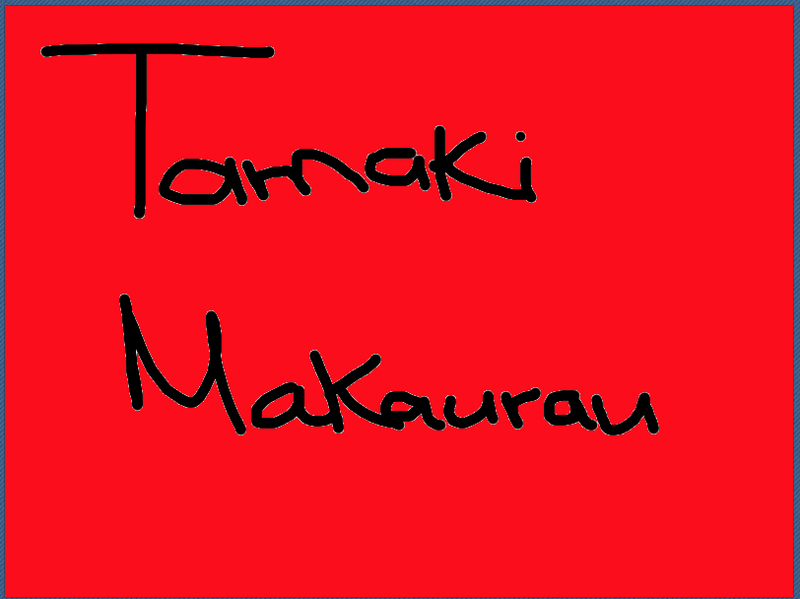 That phrase is from Pt England Schools korero. We hear this korero everyday. This helps us to be CyberSmart at school on our netbooks. Using your brain is an important thing. You have to use your brain everyday. But at Pt England School we have to use it on our netbooks as well as everywhere else. When you are online you have to use your brain to be able to discover new things and learn different things. Being online everyday is not easy, because you can always do the wrong thing. For example if your in your mail and you have a dodgy email you might look in it and it might give your computer a virus. Thats why you should always think before you do. When you are online you should always use your heart. If you are online you need to be CyberSmart. For example you might send a nasty message to someone else and it might hurt that person. Thats called cyber bullying. Never ever cyber bully. Cyber bullying causes a lot of trouble so don’t do it. Doing that is not nice. This is why you should use your heart, to listen to your feelings. And using your heart online also means that you leave thoughtful comments on other peoples work. Don’t forget messages affect peoples feelings. Do you know what CyberSmart means? Being CyberSmart means that you are doing the right things online and focusing on your learning. It also means that you are being smart and doing your learning properly. Being CyberSmart means that you are doing the right thing and not going on dodgy sites. If your friend is on a dodgy site and she tells you to go on it but you don’t want to you can tell on the teacher . Always do the right thing. That is why you should always do the right thing. Do the right thing. And always try your best to do everything. Do you know how to be CyberSmart? Did you learn anything from this? Use my brain, Use my heart, I’m going to be CyberSmart!